"Word of mouth is, this liqueur is thought to have been a staple drink among sailors who wanted to ward off scurvy and lighten the mood on long sea voyages." 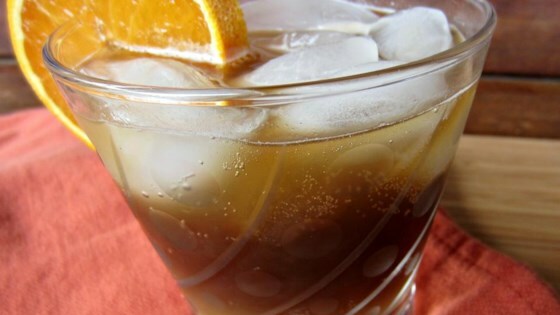 Fill a high ball glass with ice; pour in orange juice, dark rum, and cola. Stir.